Has Google Purged Places Of Yelp? All Signs Point To Yes. 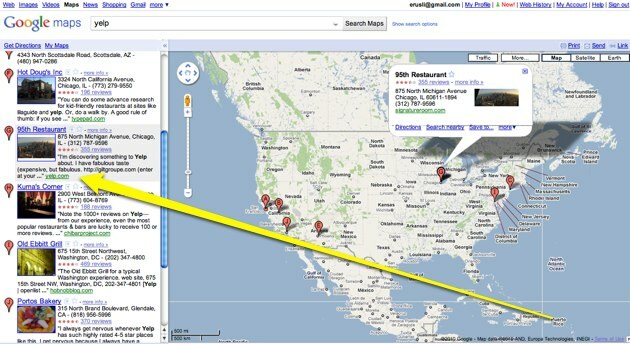 From our checks, it seems like Google has completely omitted Yelp reviews from Google Places. As you may recall, Yelp has been frustrated by Google’s recent decision to pump up its Places service with Yelp’s content— without Yelp’s consent. It’s unclear whether this is the “positive” outcome Stoppelman was hoping for (we’ve reached out to Yelp and Google for confirmation and comment). The companies’ ambiguous “talks” seemed more complex than the simple inclusion or omission of Yelp’s data but Stoppelman did say that (prior to Google’s data grab) Yelp was content to be excluded from Places and confined to organic results. File Google and Yelp’s relationship under “it’s complicated” (— and not just because Yelp walked away from a hefty takeover offer in late 2009). Several years ago, Google paid Yelp for access to its treasure trove of user reviews, as the company developed the precursor to Google Places. Eventually the partnership fell apart and an unsatisfied Yelp walked away. It was a relatively peaceful coexistence until this summer, when Google unexpectedly started to crawl Yelp’s pages for unlicensed content to flesh out Google Places. As Stoppelman pointed out in our July interview, he was also annoyed to see Yelp’s reviews pushed to the bottom, while official partners, like Zagat, got top billing. While it’s virtually impossible to check every page on Google Places to verify that all of Yelp’s reviews are now excluded, in a July 26 post, my colleague MG Siegler referenced a few sample pages (like this page on SF’s Gordo Taqueria or Pancho Villa) that were heavily reliant on Yelp’s content. Today, they are both stripped of that data. Arbitrary checks in other cities yielded the same results. We’ll update once we hear back from Google/Yelp. Google classifies intellectual property as: “Don’t infringe on the intellectual property rights of others, including patent, trademark, trade secret, copyright, and other proprietary rights. Second Update. It is confirmed, Google has changed the classification of Yelp’s reviews, according to a Google spokesperson. 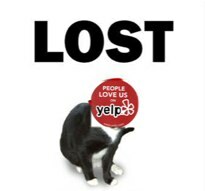 Until further notice, don’t expect to find Yelp in the “reviews” section, however, Yelp may be linked in their “more about this place section,” —- which is the last section of a Google Place page and generally features a smorgasbord of random, albeit related, links. “Place pages organize relevant information about a wide range of places and locations, and they surface great sources of information like reviews and photos about ‘places’ ranging from restaurants to parks to landmarks to cities.